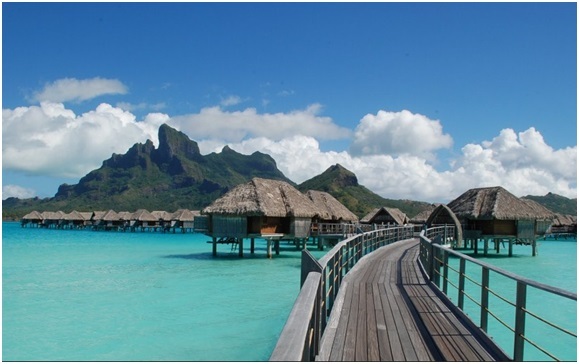 The truth is, Tahiti is so amazing that you will hardly go wrong when choosing your hotel. However, there is good and there is the best and the best is what you want when you opt for Tahiti as your destination of choice. Hotels here are amazing and the service is great, but, nevertheless, there are five hotels that stand out from the rest as the best ones. 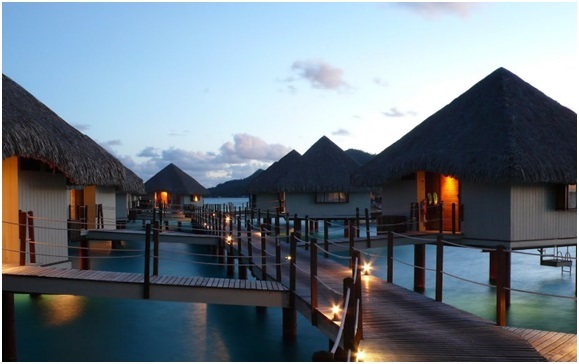 Staying there is a special experience on its own, besides the fact that you are staying at the amazing Tahiti. Here is the top five list. This wonderful spa at the most wonderful place in the world definitely needs to be at the top of the list of the most perfect resorts and hotels in Tahiti. 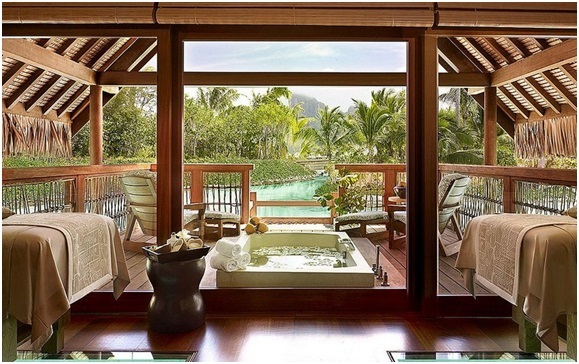 The thing is, this spa is situated on one of the small islets that makes it even more secluded and tempting. Skipping the whole story about amazing treatments, let’s just say that the island is covered with vanilla plantations and that even air smells amazing. This is a resort opposite from the main Bora Bora Island and St. Regis Resort. Those overwater bungalows have glass floors that will allow you to spy on sharks and other fish and also turtles that live in waters at that part of the island. This resort is also famous for its Miki Miki bar and it’s amazing view of Mt. Otemanu. 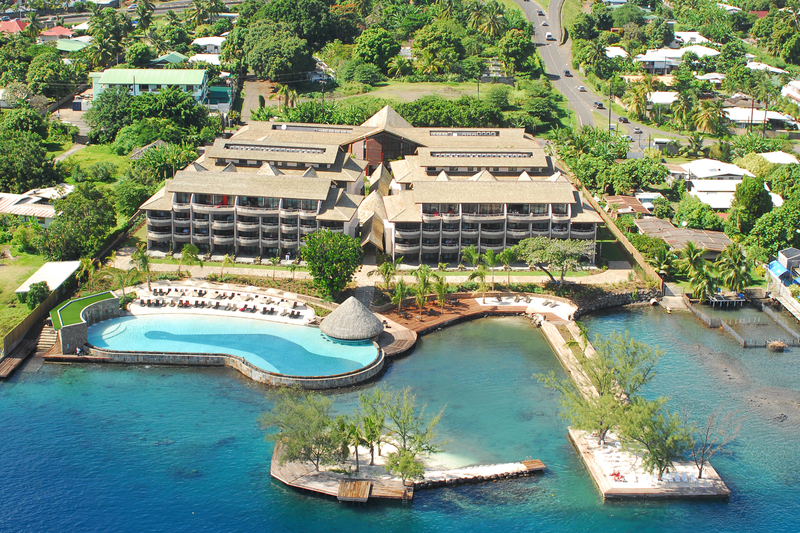 Many commodities that this hotel offers make it one of the most favorite of all the resorts in Tahiti. Besides the high class accommodation and flawless rooms, there are many things that makes it stand out. First of all, it is very near the airport and it is situated in the peaceful area of Tahiti. InterContinental offers free shuttles to the city, free transit rooms and much more. If you are traveling in a group, than perhaps, Four Seasons is your best choice. 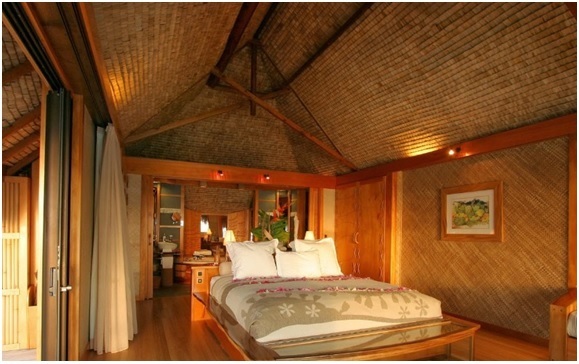 They have three bedroom villas on the east side of Bora Bora and some of the most excellent restaurants on the island. You will have enough space for everybody and world class accommodation. This resort is situated on a small strip of land that is just enough to have an amazing spa and one of the best sushi restaurants you can find on Tahiti. Overwater bungalows have patches of glass floors and sliding doors that can open your living room to a private deck. Also, you will be accompanied to your bungalow from the airport by your butler. 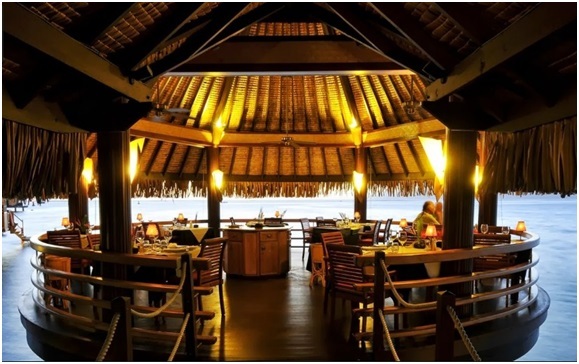 If you have decided to spend time in Tahiti, you need to make one of these top five resorts your accommodation there. It is impossible to go wrong and you only need to be sorry for the fact that you cannot stay at all of them at once. 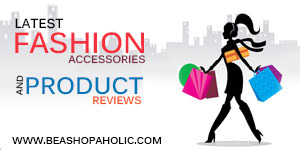 Check the differences, see the prices and make the best choice. Whatever you choose, you have chosen well since there are no mistakes with these places. Author’s bio: Dan Radak is VPS security and Hosting generally specialist. Currently traveling around and visiting exotic destinations. In his free time he likes to go fishing. You can reach him on Twitter. Previous PostBeautiful Wonders around the WorldNext PostCroatia at its Best – Adventure – Travel – Fun Holiday!